Ninety-six years is a long time by any standard. Darwin was a different place back in 1923, a young city almost 20 years away from being bombed by Japan and more than 50 years away from the devastation of Cyclone Tracy. It’s been built and rebuilt in the near-century since. And 96 years from now is long enough for a lot more to happen. Why did the NT lease Darwin Port to China? It was a decision that baffled everyone from NT locals to Barack Obama, a strategic asset lease that slipped past the Foreign Investment Review Board and Defence. How did the port sale propel the sleepy territory into a geopolitical brawl? 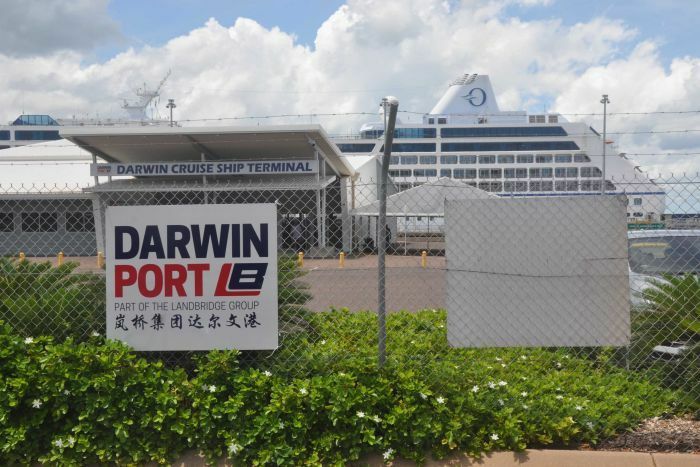 The $506 million the Northern Territory Government was paid for a 99-year lease of the Darwin Port by Chinese company Landbridge is long gone, but Australians’ feelings of unease remain. The late 2015 deal with Landbridge shocked the country and led to the most-asked question in the Curious series history, about why the NT decided to lease the port to a foreign company and how they got away with it. 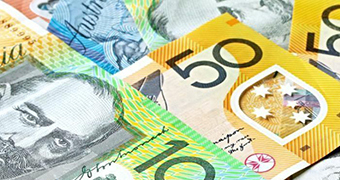 Many of you have written to us over the past week wanting to know what can be done about it, more than three years after the deal was signed that saw one of Australia’s most strategic assets leased away for a one-time payment. 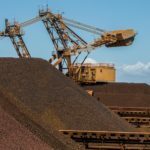 This story is part two in our look at the port as part of Curious Darwin, our story series where you ask us the questions, vote for your favourite, and we investigate. You can submit your questions on any topic at all, or vote on our next investigation. ‘Almost absurd’: What can be done to reverse the lease? Not much, according to defence experts and academics, but there’s a few outstanding issues of interest with the whole saga. 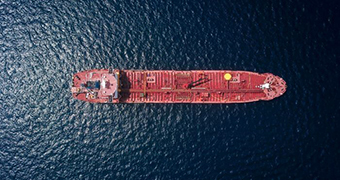 Charles Darwin University academic John Garrick has been researching China’s international strategic actions, and said the Commonwealth Government doesn’t really have a leg to stand on if they want to take the lease of the port back now. “There’s not enough evidence for them to do that, other than the sense that this is a dumb move, and why would you do this when the money is already gone and 96 years on the lease to go?” he said. Australia Defence Association executive director Neil James agreed. “It’s probably too late to do anything. To cancel the lease, you’d have to pay an enormous amount of compensation to the lease holder,” he said. The strategic risk can be managed, Mr James added, but never completely eliminated, and managing it will cost the Government. 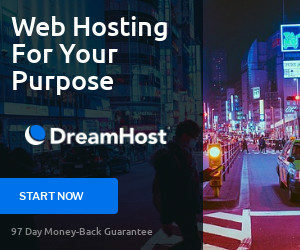 This involves potential future actions by China as tensions flare up in the South China Sea and how Australia is positioned to respond as an American ally which had already been reprimanded by former United States president Barack Obama, who said he would have liked a heads up on the deal before it happened. 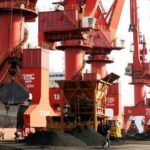 “In short, we just don’t know what might happen over the next 30 years, let alone the next 96, and the port has already been handed away,” Mr James said. He added that defences raised by NT Government politicians and public servants about being able to take the port back in the case of rising tensions didn’t address the strategic risk now, or the consequences of that later. Dr Garrick said it was interesting to observe China’s recent engagement in poor Pacific Island nations over the past few years, where the Asian economic superpower has developed a type of “blueprint” for strategic positioning. Why is the NT in so much debt? Hearing senior Treasury staff describe the Northern Territory’s budget as being in “dire straits” is the bureaucratic equivalent to saying, “we’re stuffed”. 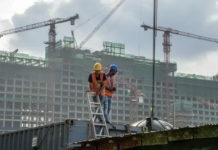 In cases like Sri Lanka, China offered loans to build infrastructure. When those loans come payable and the countries can’t cover the debt, China assumes control of those infrastructure assets. And all of it is being done under the guise of economic development at a time of economic turbulence for those countries, Dr Garrick said, which sounds familiar to Darwin, where the NT Government is currently going through a fiscal crisis and severe economic downturn. 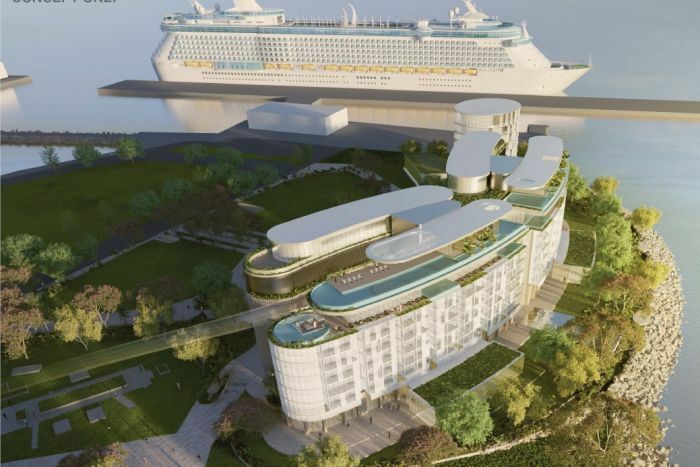 And just last week, Landbridge (a private company, despite links to the Chinese Government) started official construction on a new $200 million luxury hotel on the Darwin waterfront. Dr Garrick said China wouldn’t be able to call in debts and assume control of any infrastructure in Darwin, but it was still a model that seemed to be being applied on Australia’s northern shore. 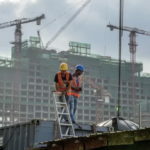 “That model of developing other sites around the waterfront is part of the model that has been used in Sri Lanka, Pakistan and Djibouti and other places,” he said. Dr Garrick said the luxury hotel project was a further extension of the interests of the group, “an entrenchment of their strategic positions”, given its location on the waterfront, right next to Parliament House and Government House. “It’s a position from which they can exercise further soft power and ingratiate themselves and show how they’re contributing to the local community; many people will be celebrating that from the local council right up the line,” Dr Garrick said. Ultimately, he said the move was all about soft power and influence. “In our situation, there was an upfront payment for 99 years… and then the strategy unfolds,” he said. 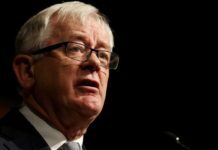 Former federal trade minister Andrew Robb took an annual $880,000 job with Landbridge after leaving federal parliament. Many Curious Darwin readers asked how Mr Robb was involved in the port deal. By all accounts, he wasn’t involved with Landbridge in late 2015 when the deal went through, and the federal cabinet was not aware of the deal until hours before then-chief minister Adam Giles announced it publicly in November 2015. Mr Robb recently resigned his position with Landbridge, saying they did not have much work for him to do. 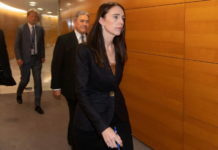 “I was approached two months after I finished in parliament and certainly about four or five months after I’d finished in cabinet and the [Landbridge] chairman said to me, ‘would you consider coming and doing some work for me?’ and I said, ‘well, I’d love to… but I’ve been a minister in a cabinet, in a related area, I can’t do any work for you in Australia and I can’t do it for 18 months’,” he said. 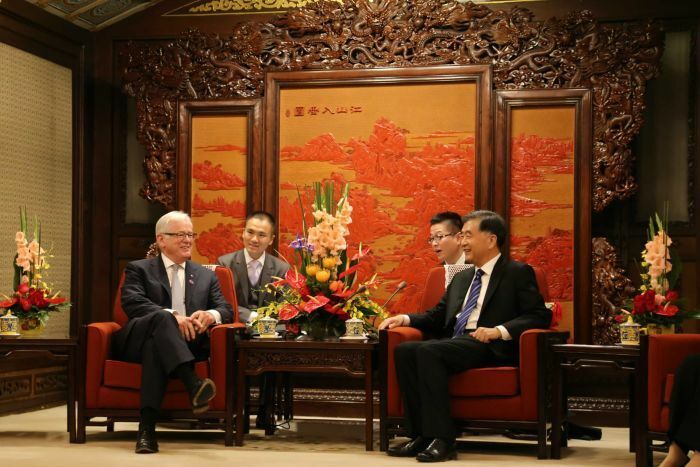 As the federal trade minister, Mr Robb did publicly support the Darwin Port deal, calling it a “powerful sign” of a commercial partnership between China and Australia through a free trade agreement he had helped establish. “Landbridge’s commitment to the growth of the Port of Darwin will be a huge spur to the development of Australia’s north, serving as a catalyst for the entry of major investment right across the port’s upstream supply chain in agriculture, resources and energy and economic infrastructure,” he told the Guardian in late 2015. Mr Robb’s job with Landbridge commenced on July 1, 2016, according to a Four Corners – Fairfax Media 2017 joint investigation. That was the day before the 2016 federal election, that Mr Robb had stated months earlier he would not be contesting. 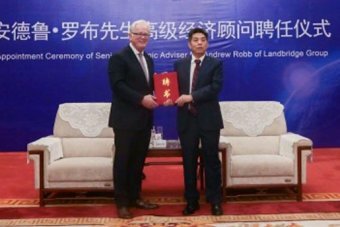 Mr Robb was scathing in comments to the ABC last week about a “toxic” relationship between Australia and China that he blamed on former prime minister Malcolm Turnbull and Australia’s intelligence agencies. “I was in the National Security Committee, and I’ve gotta say I didn’t learn much more than I was reading in the papers for three years,” he said. Mr Robb also took a shot at former deputy PM Barnaby Joyce for his role in the deteriorating relationship with China. “We had our deputy prime minister last year stand up in front of a Channel 9 TV camera and say, ‘I want all Australians to know that ISIS is not our security threat, China is our security threat’; this is irresponsible,” Mr Robb said. 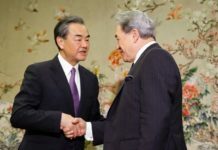 Mr James said Mr Robb’s comments seemed to be made to advance the position of the Chinese business interests he served. “He has no credibility now, he left Parliament and went to work for Chinese interests,” he said. 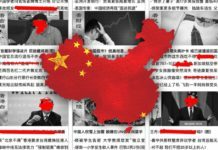 “He’s now saying that any criticisms of improper Chinese behaviour attempting to influence our political system… is our fault. Of course it’s not our fault. “We’ve got an authoritarian government in a foreign country attempting to influence the Australian political debate, not just by improper means but in an improper fashion. 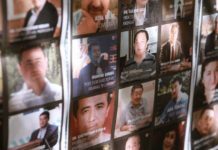 But the fear of angering China has weighed heavily on Australian-elected officials, with the greatest fear coming in the form of economic sanctions. Dr Garrick said Australia needed to get over its fear and be aware of Chinese strategies, suggesting it was necessary to engage in a public debate about China’s wielding of power and influence in Australia. 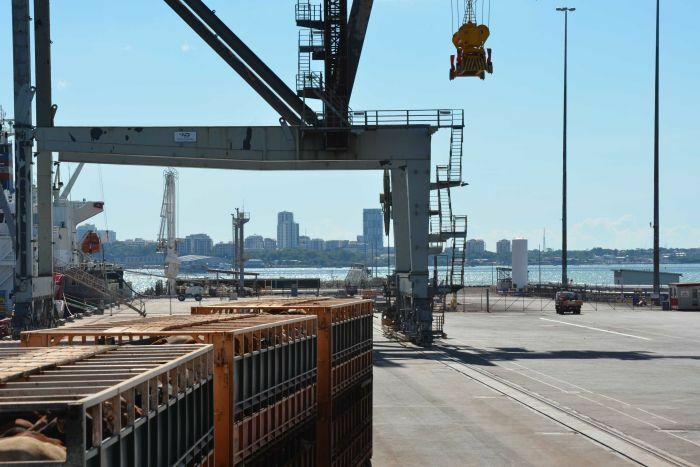 The upcoming federal election would be the time to have it, he added, but questions from the ABC to Prime Minister Scott Morrison’s office about the Darwin Port and Chinese influence went unanswered. “Rather than being xenophobic about this, we need to be alive to the commercial deals that are being done and what might come later,” Dr Garrick said. “Debate and transparency and honesty about things is not bad. Everybody in the NT remembers the last time Darwin was caught in the middle of a conflict between the Americans and a rising Asian empire. It ended with the city being decimated — 77 short years ago. While you’re here … are you feeling curious?